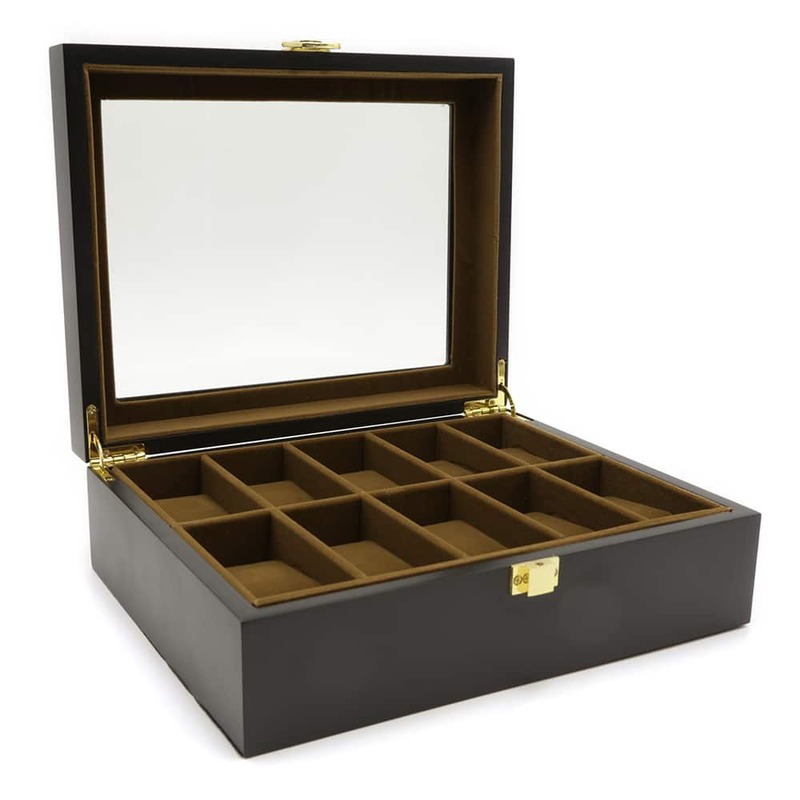 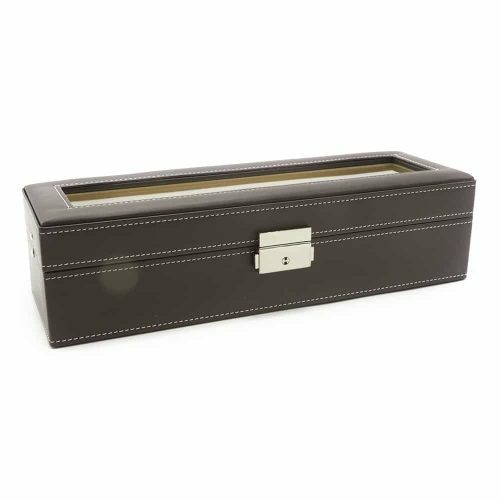 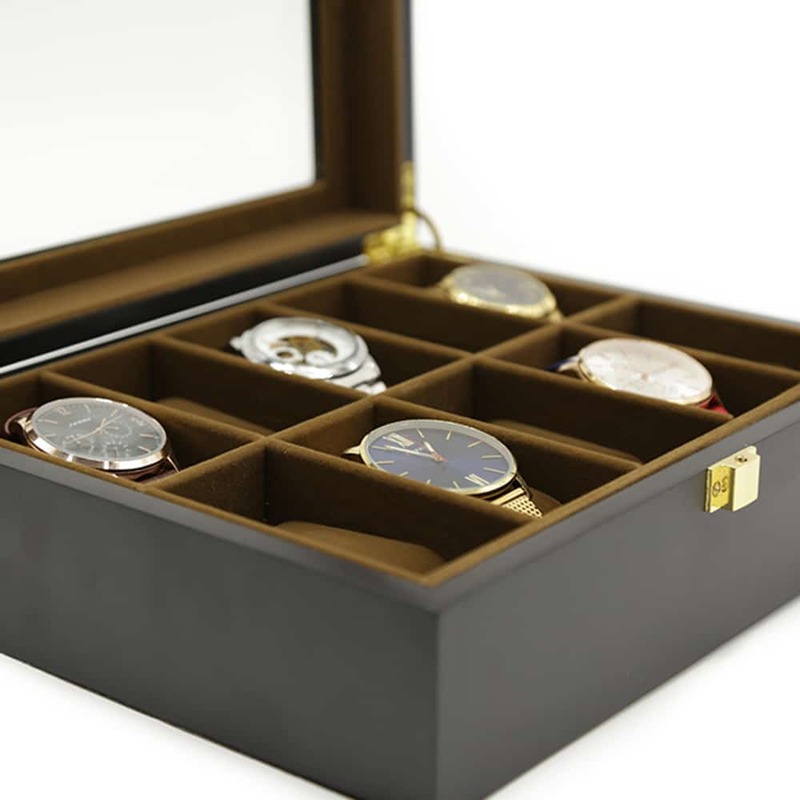 Keep your watches organised and protected from the elements with this beautiful European 10 Slot Watch Box. 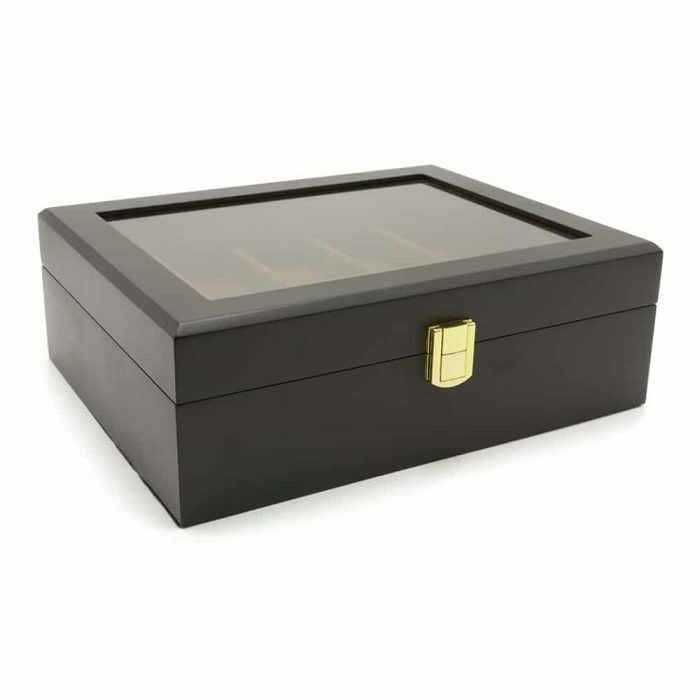 It comes with an elegant black exterior with golden features including a front latch. 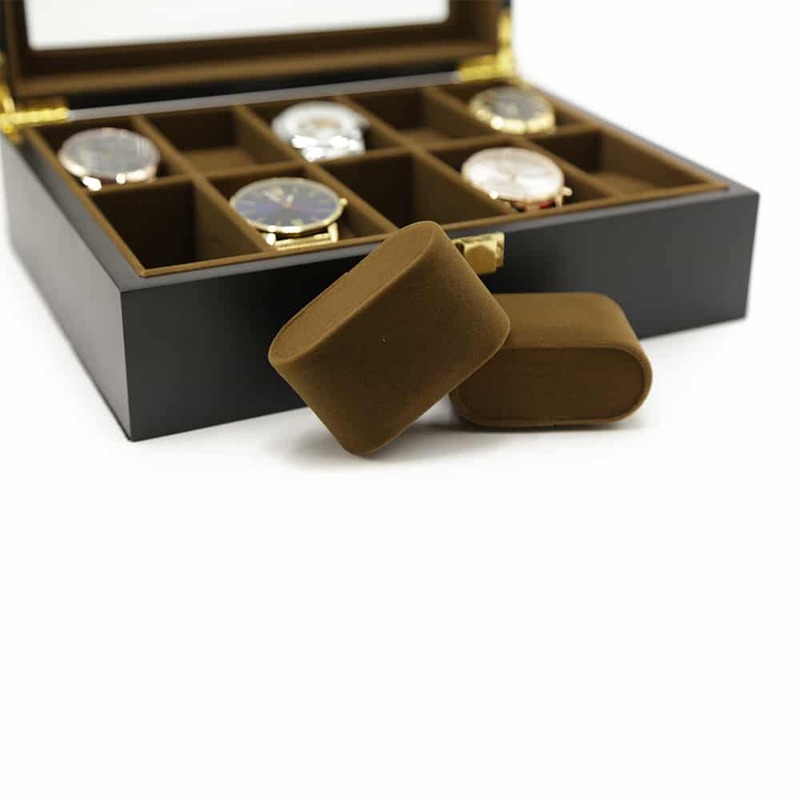 Inside, the watch slots are cushioned with a soft brown velvet material to make sure your watches stay scratch-free. 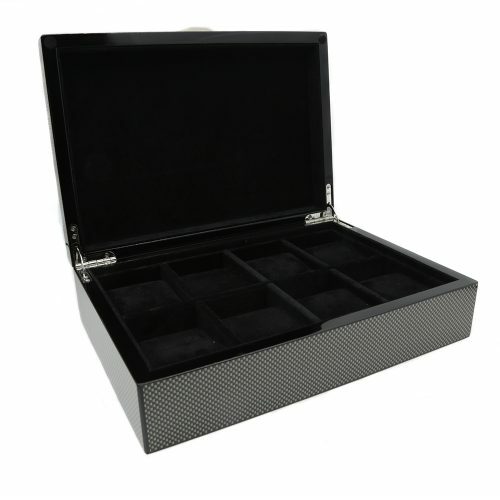 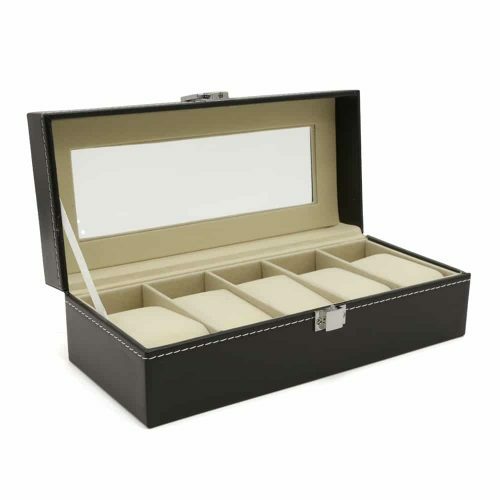 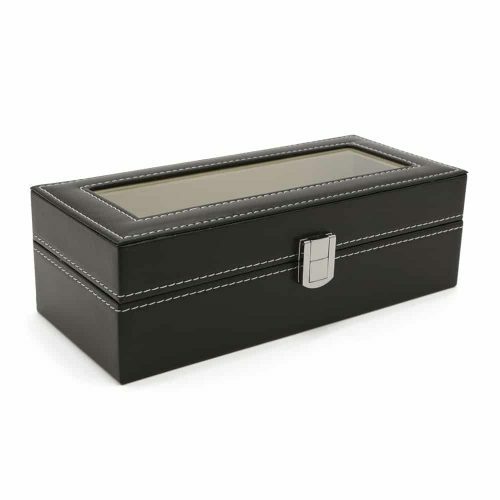 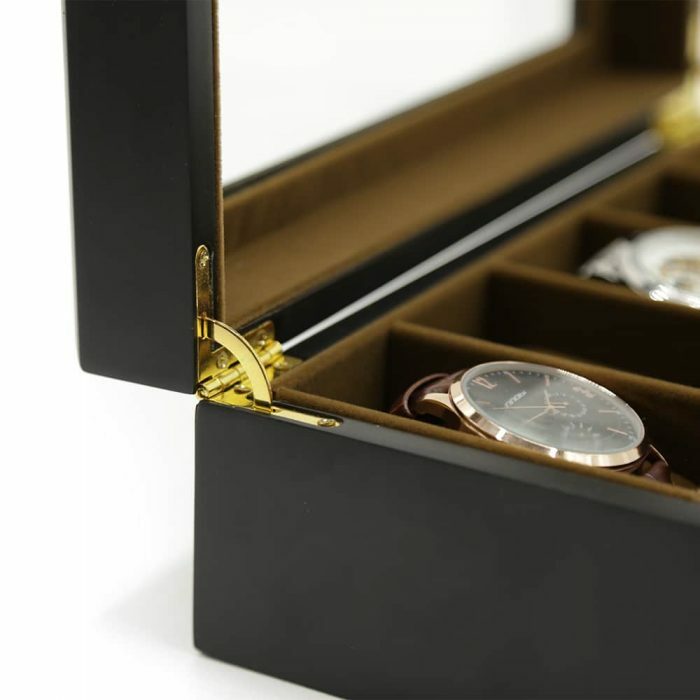 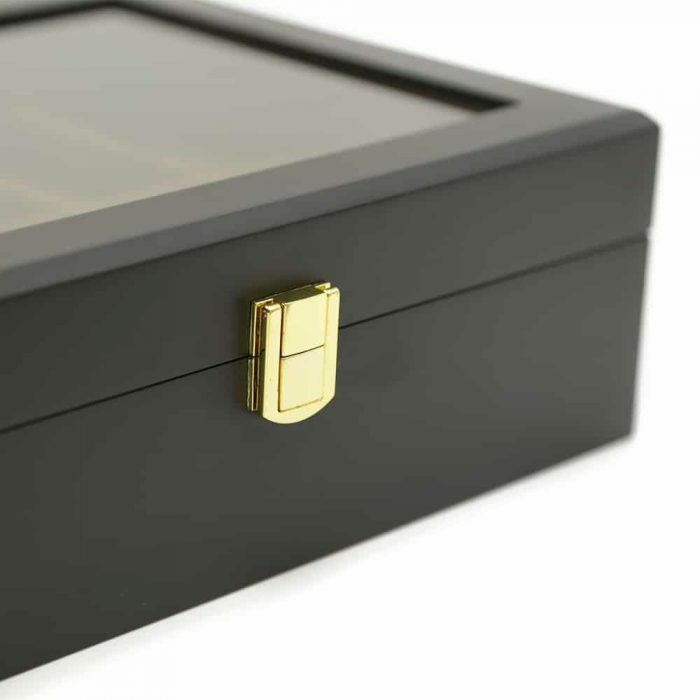 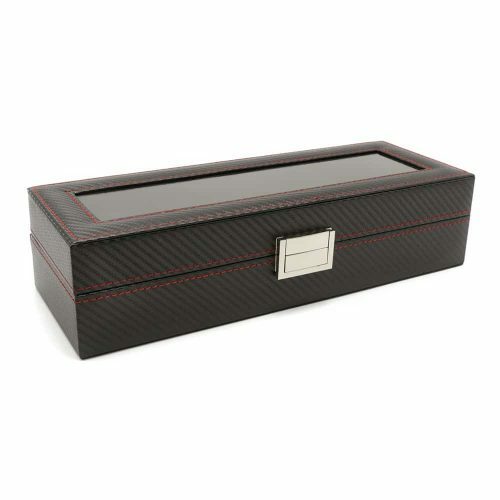 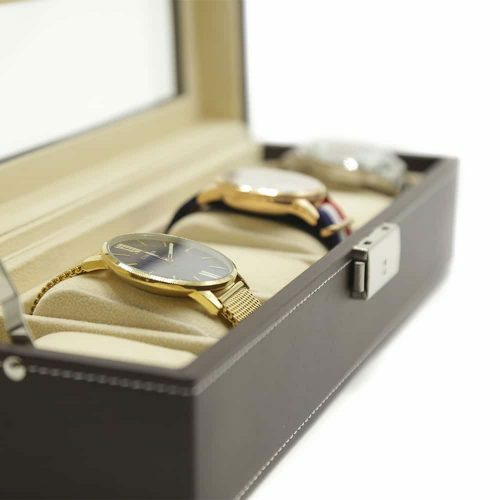 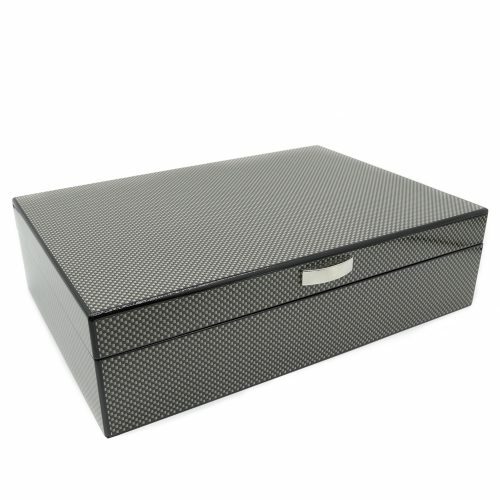 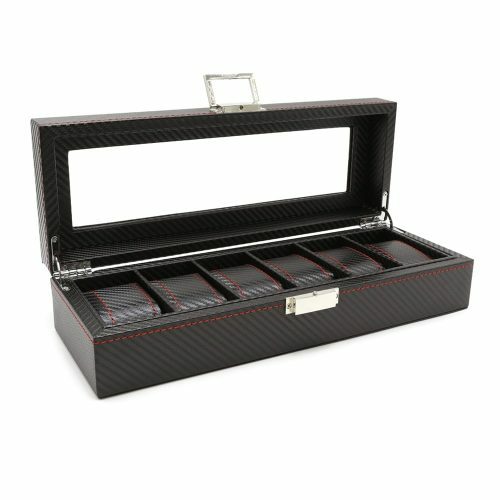 This box is perfect for any room and gives you the best way to display your watches while keeping them dust-free.